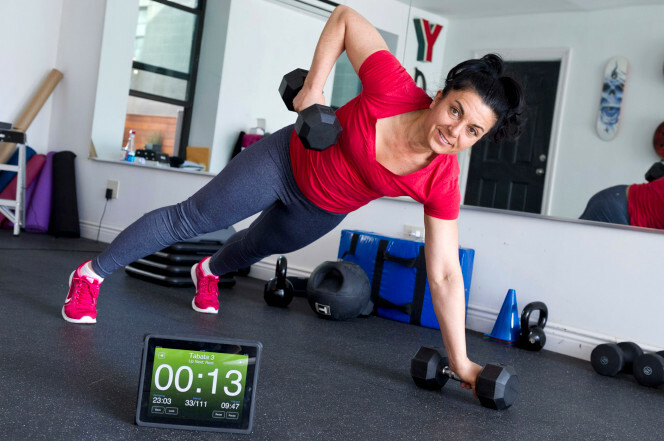 Long before HIIT had it’s trendy acronym, Maryam Zadeh put her personal and group fitness clients through short, timed, explosive sequencing. 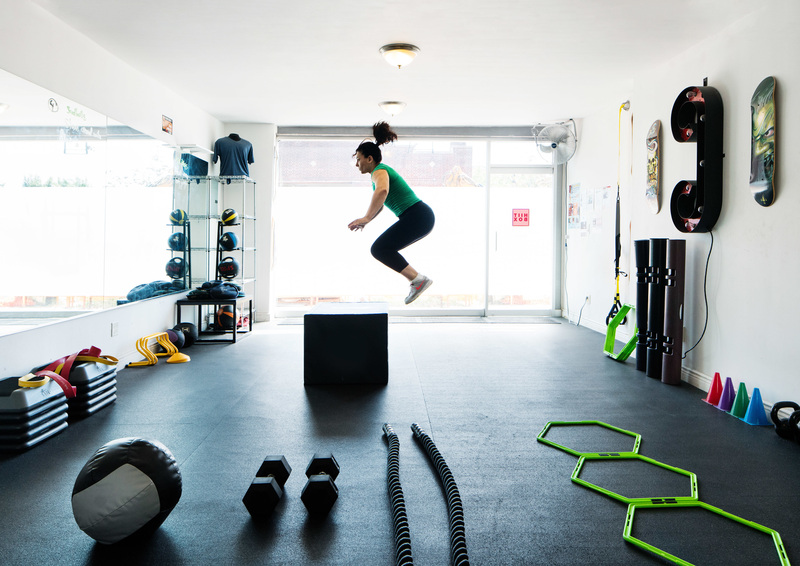 Garnering a reputation for being an extremely tough, no-nonsense coach, with a creative edge to her workouts – she quickly gained a cult following and recently opened her new training facility in Brooklyn. Coming from a family of athletes (father played soccer for Iranian National Team and younger sister is untouchable on skis) she trained hard in gymnastics and track and field growing up and brought years of elite athletic training to the table when she opened HIIT BOX. With the intention of proving that anyone can be strong, fit and healthy, Zadeh created signature format HIIT workouts that anyone can do. Sourcing her clients, she opened a tiny storefront gym in the Gowanus long before it was a destination, with classes capping at 6 people. Zadeh’s no nonsense approach, combined with her diligence to form and eye for fitness style quickly caught on and soon the waitlists began. Utilizing this amazing community power, she took it a step further and began to introduce locally made, healthy food snacks and drinks to her classes as well as small-batch athletic apparel. Zadeh recently expanded and opened up a healthy living warehouse two blocks from where she started, nestled between Royal Palms, Ample Hills Creamery and Pig Beach. The new facility features a full HIIT training center as well as PLENTY, a food incubator and THE HIIT LIST – small batch athleticwear, designed and made in house as well as small batch home furnishings. Train dirty. Eat clean. Wear Well. Zadeh and HIIT BOX has been featured in Self Magazine, The Cut and NY Magazine (Best HIIT Workout) Allure, Elle and My Fitness Pal. As well as being voted best HIIT Instructor (ClassPass). She has her BA and her MFA from NYU. To always do one thing that scares me. Big or small – just face it. I always list the things I am grateful for in my head. To stay moving and motivated. To make sure I show everyone how strong they are. Be clear, straightforward, resilient and honest. The rest will take care of itself. Oh boy, I love that I have been here most of my life and every day there will still be something that STOPS me in my tracks from awe. Definitely a breakfast burrito. Favorite restaurant has to be Cook Shop. 6:00 AM – Thinking about my lesson plans and class rosters and the possibilities I can open up to them. And drinking very strong coffee and eating hard boiled eggs. 10:00 AM – I have already taught 3-4 HIIT classes and hopefully made a difference in someones gym life. Rice and Beans on 4th Avenue – these places have disappeared. 7:00 PM – Teaching a 7pm HIIT class or meeting with my coaches to workshop a new format. Otherwise, I bop around to HIIT classes to see what’s out there. 11:00 PM – Wrapping up our blog THE HIIT LIST. Sending out encouragement emails to my clients. Working on the next day’s music mix and choosing healthy snack tasting options for the coming weeks. This would have to be strong coffee, creamy and sweet. Two cups early in the morning and then one around 4pm. The Mindbody Business App is my most used App – I am on it constantly. 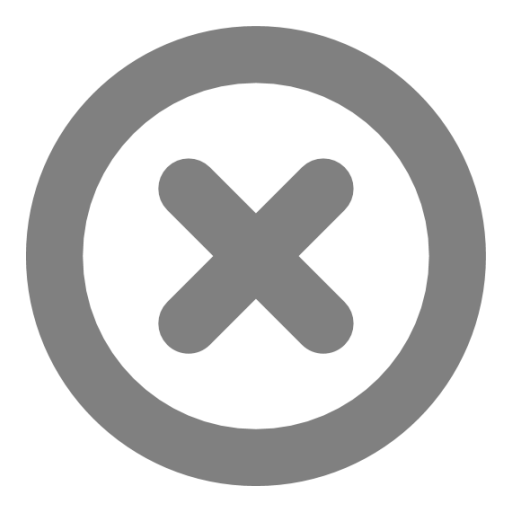 It is my scheduling software, marketing platform, distribution method front desk, merchant services and APP. Basically my assistant and I can’t live without it. Talking to a stranger, being kind and learning something. I live across the street from Prospect Park and have trained in there a zillions of times – so I know every nook and cranny. But somehowI always find a new way to get lost in there. It’s a joy no matter what time of year.